We are a community of women whose purpose is to know God and in so doing, express His love through our fellowship and service. We participate in local, regional, and global mission projects. Our membership is open to any woman who indicates her desire to belong.Some of us choose to become members of one of our five circles, which meet monthly. 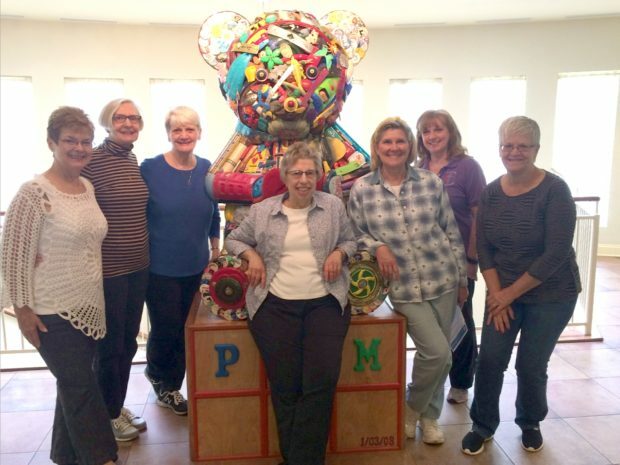 Each circle is a mirror that in its own unique way reflects the sisterhood, spiritual development and charity of the St. John's United Methodist Women. 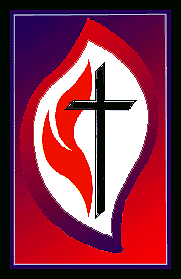 Whether Circle members or not, we are all General Members of St. John's United Methodist Women. Circle and general meetings are open to any who choose to attend, without special invitation. Please call Arlene Williams (215-355-0162) and or President, Rosemarie Malizia (215-598-8567) for futher information. Please let Arlene know if you would like to receive emails about UMW projects and programs which are also included in the Cornerstone and weekly bulletin. We have a bulletin board in the narthex that you may wish to review to learn more about us. We hope to hear from you and look forward to the opportunity to warmly welcoming you to St. John's United Methodist Women. In September, all women of the church and their friends and family are invited to gather for a welcoming meal. 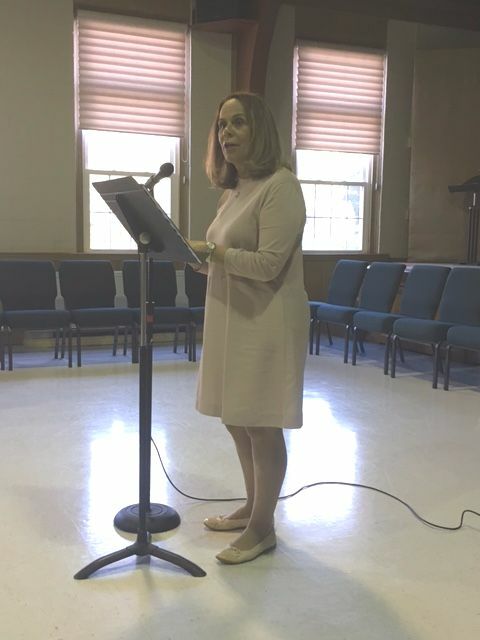 We usually have a guest speaker who represents a mission focus or spiritual growth message, as well as an update on happenings in the larger UMW organization. In December, circle members bake and deliver plates of cookies to our shut-ins. In March, we gather for breakfast and a Lenten devotion with communion. Our Spring Banquet in May includes dinner and various entertainment. Most of these events are held in our fellowship hall. What is a Circle and what do they do? It is a group of women that meet once a month, Sept.-June. Some Circles meet in member’s homes and some have their meetings at the church. 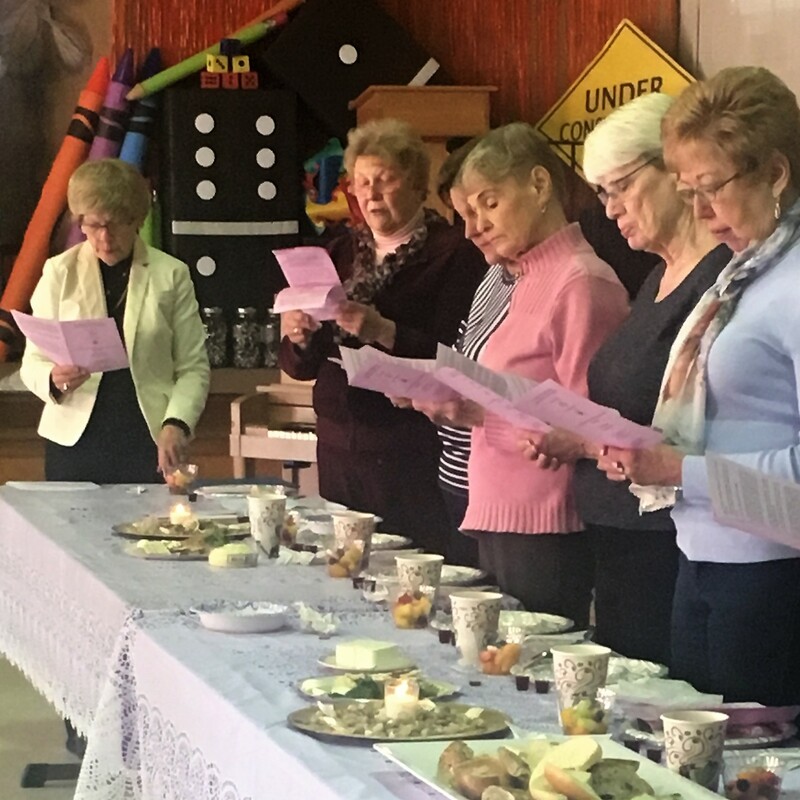 Each Circle decides on their own study material for the year and then at their monthly meetings they have devotions, their study lesson, discuss the upcoming projects of UMW & the church, have refreshments, and lots of “girl talk”. There are no commitments to hosting a circle in your home or of being a lesson leader. How much you want to be involved is totally up to you. Most circles occasionally have their meetings at the church. Deborah Circle Leader: Laura Paulus (215-794-8764)They meet the 3rd Tuesday at 7:00 p.m. in members’ homes. After having snacks provided by the hostess and lots of conversation, they review any UMW matters followed by a book study. 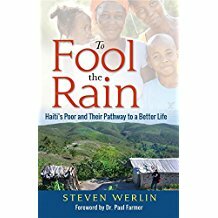 Deborah Circle learned about Fonkoze, Haiti's leading microfinance institution from the book, "To Fool the Rain". This circle decided several years ago to not go out for dinner to a restaurant as was the custom at Christmas. Instead they planned a covered dish dinner and have given the money to a charity. This year Fonkoze was chosen, https://www.fonkoze.org/ . Since this institution focuses on identifying very poor women they can be help through intense counseling and financial backing , since United Methodist Women advocates for the health and welfare of women and children, they felt it qualified for support from our circle. These Haitian women are taught to handle money, stand up for their rights, and develop a business that can support themselves and their children. The circle was able to send a donation of $460. 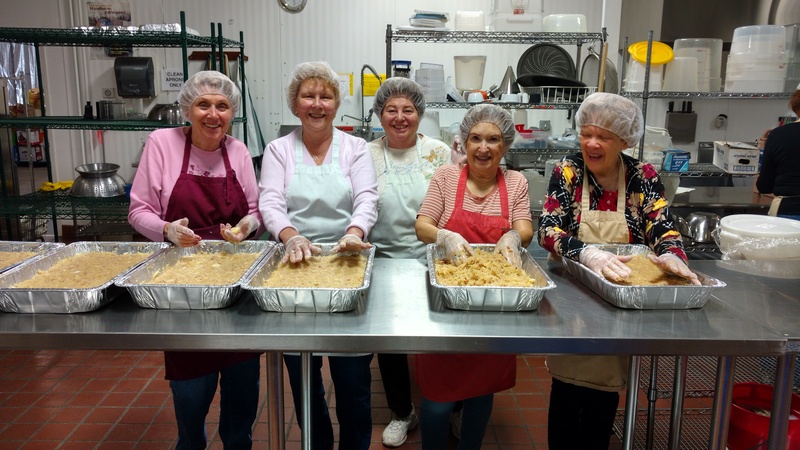 Deboroah circle volunteers several times a year at the Aid For Friends facility in Northeast Philadelphia. Deborah circle making yummy saurkraut baked with apple sauce, potatoes, bacon bits, brown sugar at Aid for Friends. They meet the 2nd Wednesday at 1:00 p.m. at a member’s home. Most of the 12 members in their 60s and 70s are retired. They have a devotion and a Bible study that they take turns presenting each month. They catch up on UMW and church happenings. They take part in Interfaith services and also collect food twice a year. A prayer chain is used for all of those who need our prayers. Of course, being Methodists, they enjoy cakes and desserts also with fellowship. 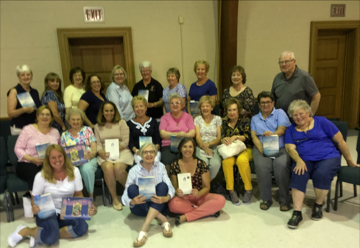 Carol Campbell (215-364-0942) Members meet in the church parlor the the 2nd Tuesday at 7:00 p.m. Each meeting begins with snacks and updates from circle members about their families. Upcoming UMW events are discussed, followed by a short devotion. Their meeting ends with a circle formed lifting up prayers of joys and concerns. Mission projects include visits to the Ronald McDonald House where they prepared and served breakfast. Toiletry items, paper projects, etc. were donated by circle members and delivered to the Ronald McDonald House. The circle also collects tabs to deliver to the Ronald McDonald House. 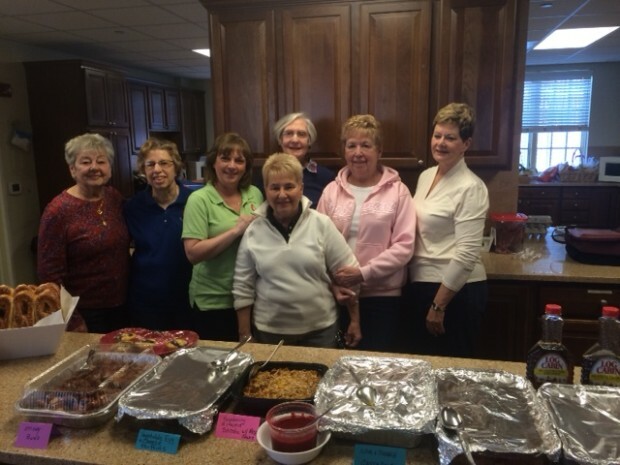 Ladies from the Naomi Circle traveled to the Ronald McDonald House at Erie Avenue. They served breakfast including casseroles, fruit and soft pretzels to patients' famiies from St. Christopher's Hospital for Children and Shriner's Hospital for Children. For a Lenten Project this year, the Naomi Circle decided to each donate a gently used item that we were no longer wearing to A Women's Place in Doylestown. We were to each donate an item a day during Lent. We began a week early so that we would be able to collect them at out April meeting. Ali Witt and her husband delivered 33 bags of donated items. They meet in the church parlor on the 2nd Wednesday at 10:00 a.m. and consists of our senior members (12). They have devotions and a lesson. Some of their good deeds include purchasing hams for the needy at Christmas, contributing to the Thank Offering and Prayers and Self Denial Offering, and providing postage for the shoe box mailing. They generously provided funds for the Philippines Typhoon Relief. Meets the 3rd Wednesday at 7:30 p.m. in members’ homes or at church. In September, they decide who is hosting each month. The meetings are started with a devotional (e.g. prayer, story, poem) by a circle member followed by an update of upcoming events. The evening is filled with food and fellowship. The committee lends a helping hand to the Social Action Committee with all the events throughout the year. One or twice a year, they travel to the Ronald McDonald House to prepare breakfast. 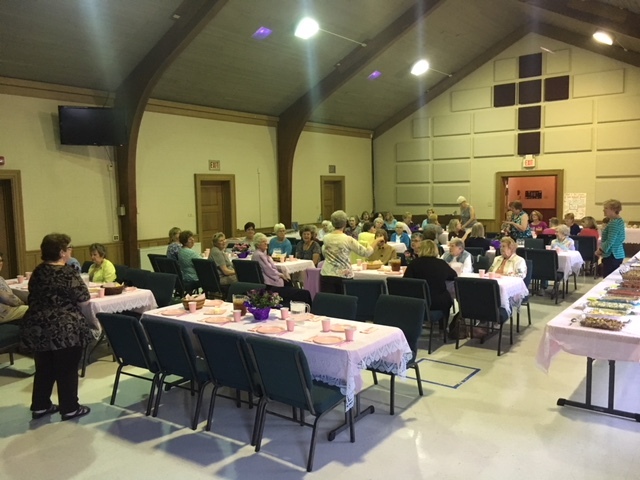 The group enjoyed good food, fellowship and an interesting program which included information about some of the missions our group supports. We learned about the UMW’s support of the National Farm Worker Ministry and their action to boycott Wendy’s. You can read about it at http://www.boycott-wendy’s.org/ and https://unitedmethodistwomen.org/farm-worker-action Contact Arlene Williams (arlemew13@aol.com) if you would like to sign a postcard which will be delivered to Wendy’s management in November. The highlight of the meeting was the dogs. Pat Mayrhofer explained how her dogs help to give children the confidence they need to read aloud. Her friend John Vagner whose dog came from Canine Partners for Life explained how his therapy dog is able to warn him when his sugar is too low. 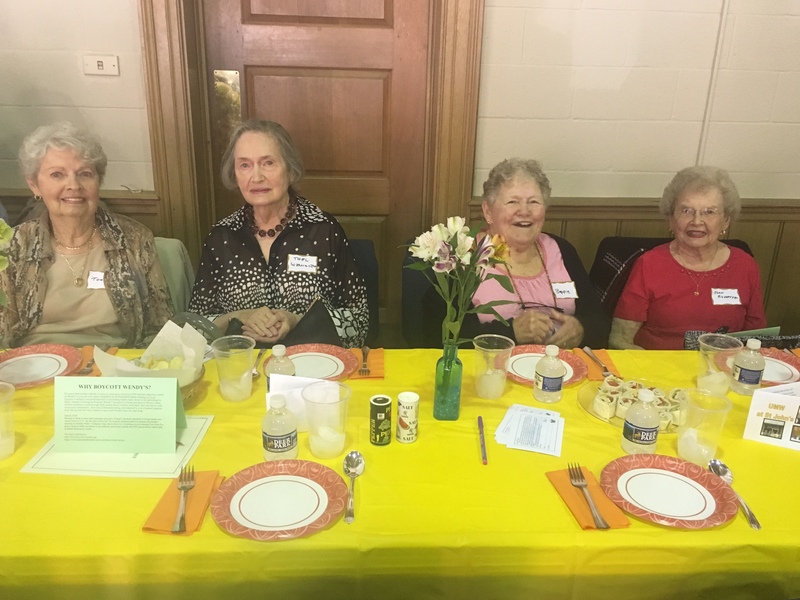 "From Seder to Communion" A seder meal was enjoyed at the Communion Breakfast on March 24, 2018. This year's banquet will be held on Wednesday, May 1, 2019 at 6:30 PM. Come meet Amelia Earhart! After enjoying delicious dishes prepared by our UMW members, we were treated to a visit by Queen Victoria who enlightened us on her long life. She shared a bedroom with her protective mother from her birth in 1837 until she became queen of the United Kingdom in 1901. She married her first cousin, Albert, in 1840 who died in 1861. She gave birth to nine children and spoke about her relationships with each of them. Quite a few of their children went on to marry into other royal families. She had 42 grandchildren. She’s often referred to as the “Grandmother of Europe”. She died in 1901 at the age of 81. She is the great great grandmother of Queen Elizabeth II. SOUPER BOWL SUNDAYS At St. John's UMC in Ivyland the United Methodist Women coordinate the collection of food on Souper Bowl Sundays and deliver the items to a local food pantry, the Coordinating Council of Health and Welfare Emergency Food Cupboard located at 75 Downey Drive, Warminster, PA 18974. 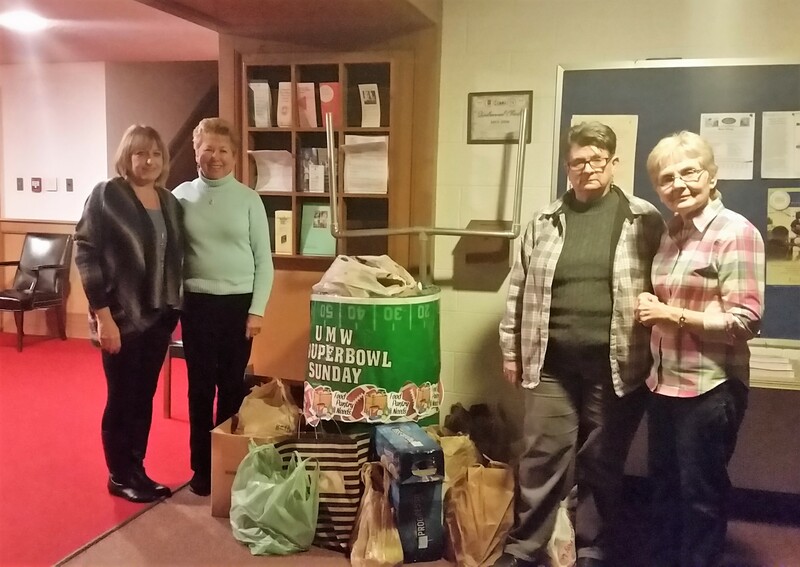 Five Sundays in January and February are designated Souper Bowl Sund.In addition to Souper Bowl Sundays, our church collects food every Sunday in a shopping cart and donates it to the Eastwick UMC food pantry. Eastwick UMC, 8321 Lindbergh Blvd., Philadelphia, PA 19153. We also send food to Holmesburg UMC, 8118 Frankford Ave,, Philadelphia which has a one day a week food pantry and runs a soup kitchen 4 days a week October through May. Our youth are asked to donate cans of food all year when they attend activities. The youth director organizes trips to pack bags of food at the food center at Morrisville Presbyterian Church, 771 North Pennsylvania Ave. Morrisville, Pa 19067 on scheduled Monday evenings. This activity is open to all church members. Located near the Trenton bridge this center also serves residents of New Jersey. In November St. John's collects frozen turkeys for Eastwick. In December we collected more than 900 non-perishable items at our Sunday evening Festival of Carols in memory of a departed member who had worked diligently for Eastwick food pantry, Dan Smalley. 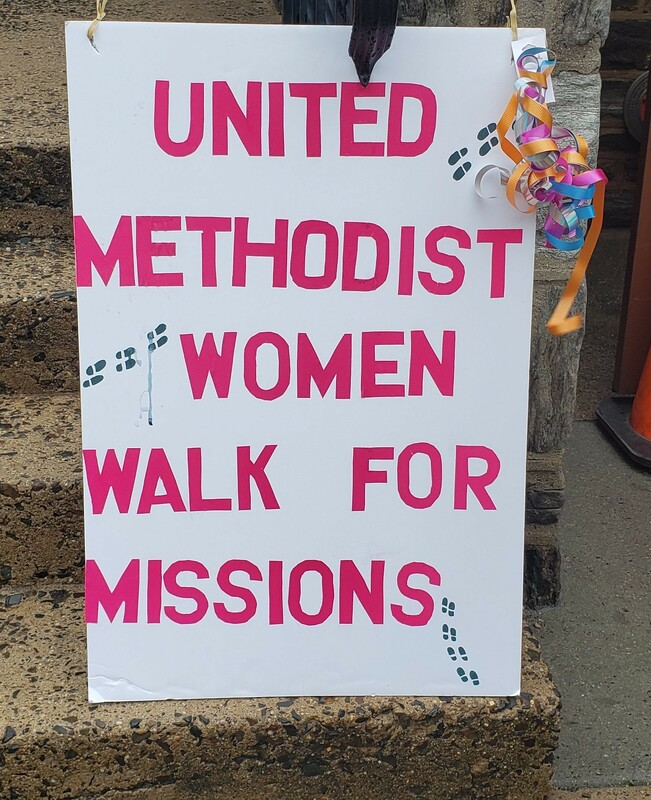 UMW INGATHERING 2019 The East District of the United Methodist Women held its Ingathering on Saturday, April 13 at the Janes Memorial United Methodist Church in the Germantown section of the city. Our unit participated in the "Walk for Missions" and learned about some of the history of the area on the walk as well as making a monetary donation. 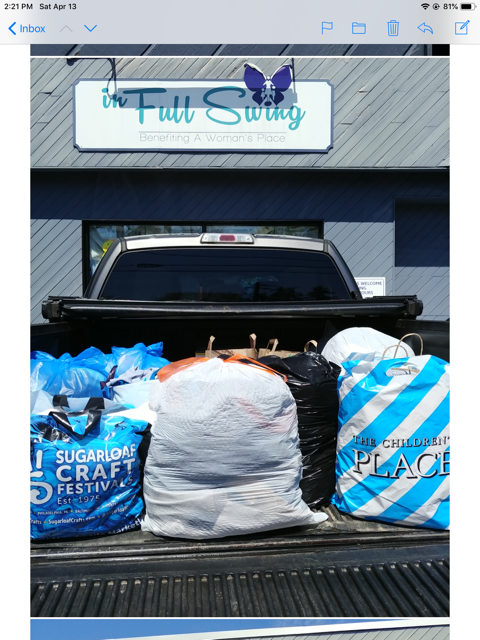 We delivered the donated clothing collected here at St. John's Ivyland.. 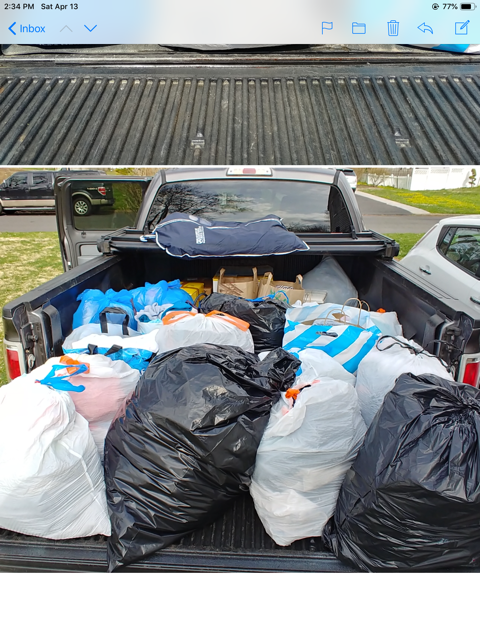 The items went to United Methodist Neighborhood Services. Thank you to all who made a donation.